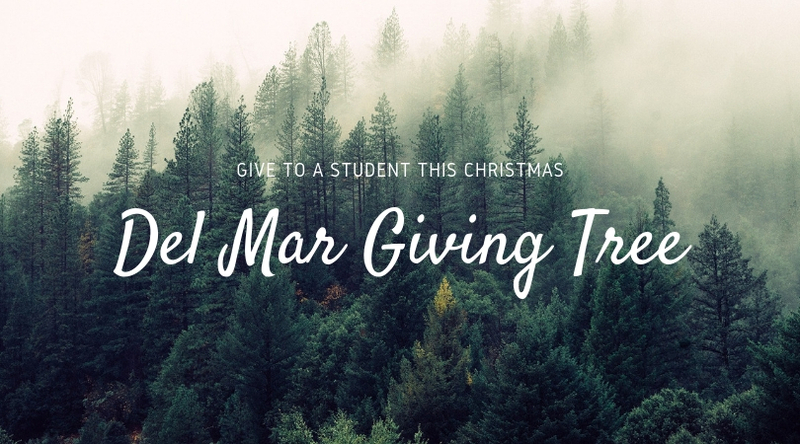 There are many underprivileged and at-risk students who attend Del Mar. We asked teachers to nominate these students so we at Awakening can provide basic necessities as well as Christmas wishes to students in greatest need. This year we have 14 students who have been nominated by their teachers – we need your generosity to bless these students. You can purchase gift cards of any amount to places such as Target, Safeway, Starbucks, Movies, Walmart etc and just drop them off at church at the box located next to the giving tree or to the connection table (be sure to include the $ amount). Or go to the giving tree in the lobby and choose a gift tag (some are specific christmas wishes and some are gift cards to get necessities and to help their family), take it home, purchase the item written on it and then return. Please bring items back NO LATER than DECEMBER 16th (as we will be presenting the gifts to the students December 19th). For any questions or more ways to help, please email Kathryn.